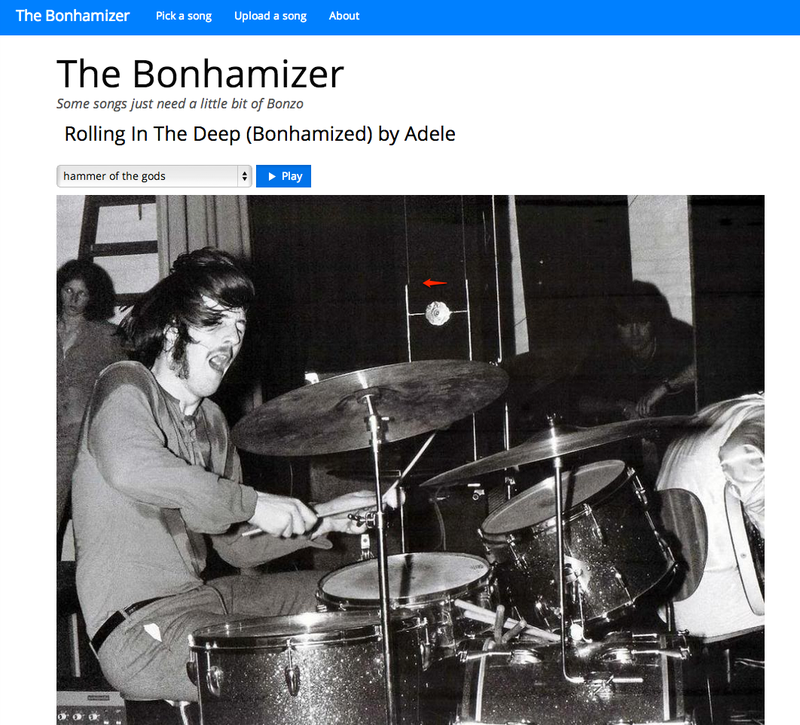 Here’s my Music Hack Day San Francisco hack: The Bonhamizer. This hack lets you hear what it would be like if John Bonham was in your favorite band. This entry was posted on February 17, 2013, 5:11 pm and is filed under Music. You can follow any responses to this entry through RSS 2.0. Both comments and pings are currently closed. I actually took the same Bonzo drum tracks and made a rock/hip hop song that I just uploaded to your site. Give it a listen without the Bonhamization. It’s already in there! Funny application. I don’t know why it didn’t let me play a song that was already uploaded, but i finally got it to work i’ve uploaded a mp3.